If you do the majority of your work from an office, whether it is located in a place of business or inside of your home, then you understand the need to be comfortable in that space. Long hours of work-related tasks can be stressful enough without your surroundings adding to the anxiety. Your workspace should offer a sense of tranquility so that you can focus on what you need to do that much better. There are certain steps you can take in order to make sure your office is less chaotic and more welcoming for you. Getting rid of the clutter in your office can work wonders for your comfort and help you be more productive at the same time. Just looking at a messy, unorganized office can add to your stress levels and make things harder to get done in a timely fashion. You can lose valuable time by having to search for things that should be organized in the first place. Taking time to put everything you need for work in their proper places and removing unnecessary items from your office space will help you feel better about your environment and somewhat put your mind at ease. Spending long hours working in the office will typically include spending plenty of time in your office chair. Why someone would choose not to invest in a suitable chair for their office space poses an interesting question. It is rather important to have a comfortable office chair that supports your back and allows you to move freely around your space. Your chair should also provide proper back support and promote good posture. You definitely want a chair that has enough cushion to keep you relaxed throughout the day and armrests are also good for added support. Adding a personal touch to your workspace is a good idea for creating comfort and familiarity to your office. Seeing your favorite pictures and photos will remind you of what you really care about and help keep your spirits up. Making your office reflect your own personality will put you in a better mood and can help you feel more in control. It can feel less like work and more like home when you have the right décor around you and you may feel less inclined to want to hurry out of there. Just be creative and make your office space something of your own and you will feel better for it. If you have enough space in your office to include a separate seating area that you can relax in, you should consider it. Creating a comfortable seating area where you can relax for awhile and take your mind off of work will do a lot for recharging your mental battery. Taking a power nap or having a bite to eat in a separate area is the type of break that can make the day seem less tedious. You can even place a television or radio in this area and really take your mind off of things while you chill out. This area can also be used to get a change of scenery while you think of important work-related ideas. Any excess items in your office can only add to the unwanted feelings of stress and disorder. You should some time out to get rid of anything that does not need to be in the office and make the space as uncomplicated as possible. Your office shouldn’t be a storage area or a place that is junky. Keeping things in order and accessible will help you feel better in your office while you are working and will make your time spent there much more bearable. You should remember that your office is there for work purposes and any extra distractions can interfere with this primary function. Your office space should feel right for you and when it doesn’t, you should make the appropriate changes to make it better. 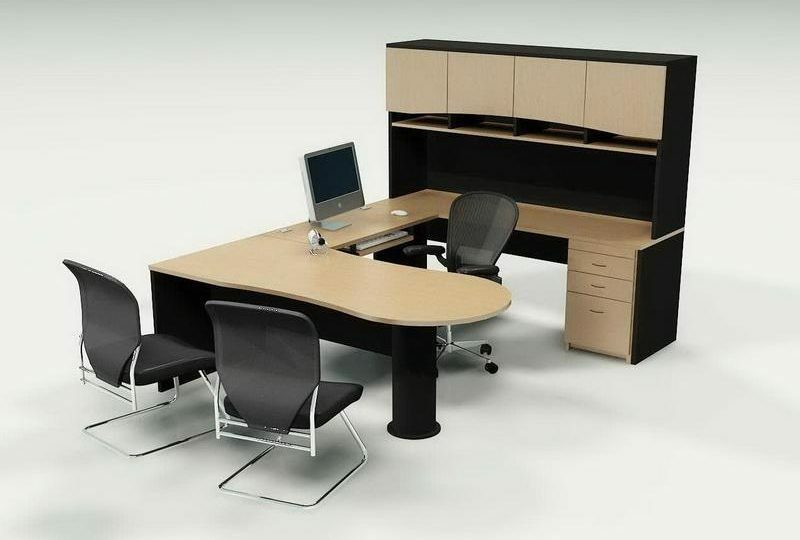 Comfort should be a major priority for your office and your productivity can be improved when comfort is achieved. Taking small steps to make your office a place you feel good working in will benefit you and your business.